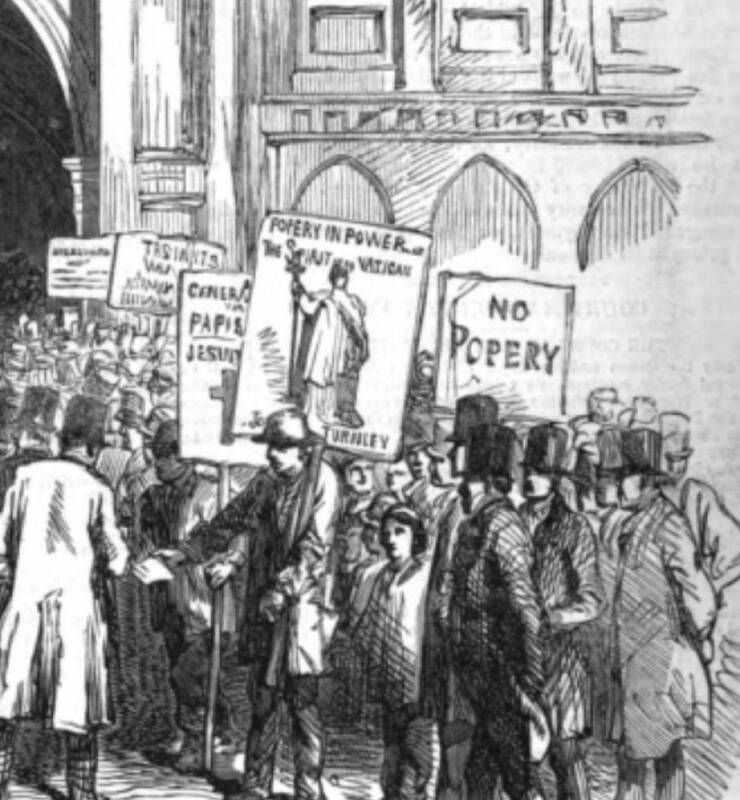 Mr. Bennett has published in the Morning Chronicle the whole of the correspondence that has recently passed between the Bishop of London and himself, and mimplies that the Bishop was in too great haste to send his part of the correspondence to the press. The Bishop's letter of December 9th only reached him at half-past twelve o'clock on December 11th, in an imperfect form; and at six o’clock of the same evening he received an intimation that the Bishop theught it necessary, for his own justification, to publish the correspondence in extenso. It occupies more than a page of the Morning Chronicle, and turns very much on the ceremonies observed in St. Barnabas’. St. Barnabas Church, St. Barnabas Street, Pimlico, London SW1 is a Grade I listed building (NGR: TQ2841378446). (Its associated primary school is a Grade II listed building). Thomas Cundy, architect. Consecratated 1850. 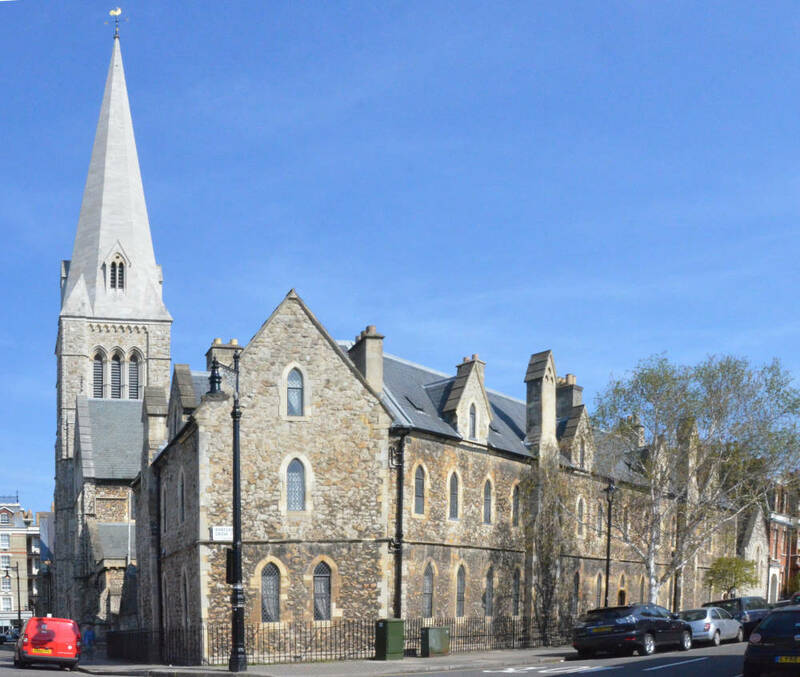 St. Barnabas is “the first purpose-built church to embody the principles of the Oxford Movement. Click on image to enlarge it and to obtain additional information. An Address from the Parishioners of St. Paul's, Knightsbridge, to the Bishop of London, has been prepared, and is yet lying for signature, which expresses in strong terms their satisfaction and gratitude at the labours of Mr. Bennett. They say that, by bis exertions, a complete change has been effected in the neighbourhood, and many persons brought into the fold of Christ. They are indignant at the treatment Mr. Bennett has received in his church from strangers, and they declare that they are bewildered and amazed at the report, that, as the result of his successful labours, he is to be removed from its ministry over them on the ground that his teaching is unfaithful to the Church. They announce their unshaken confidence in him, and entreat the Bishop not to deprive them of his ministry. This address was prepared before the blow was struck; and the congregation will now probably follow Mr. Bennett. Surrey is to have its county meeting on Tuesday next at Epsom, at noon. The Reply or the Bishop or Norwich to the clergy of his diocese is published at great length. He would treat the Pope's Bull with supreme contempt did it stand alone; but the conversions from our Church gave it importance, and he strongly advises his clergy, as the most important matter, to preserve the main distinction between their faith and the Romish, by bringing all their doctrines to the test of Scripture, while the Humanists bring even the Scriptures themselves to the test of human autherity. A Grand Anti-Popish Processiom, demonstrative of the feeling existing against the Papal Aggression, took place at Eltham, Kent, on Wednesday. An immense figure of the Pope, in full pontificals, and of Cardinal Wiseman, were carried in vans, accompanied by between forty and fifty horsemen. After perambulating the country in the neighbourhood, they burnt the two effigies at Eltham, amidst discharges of rockets and other fireworks, while a band played the National Anthem.